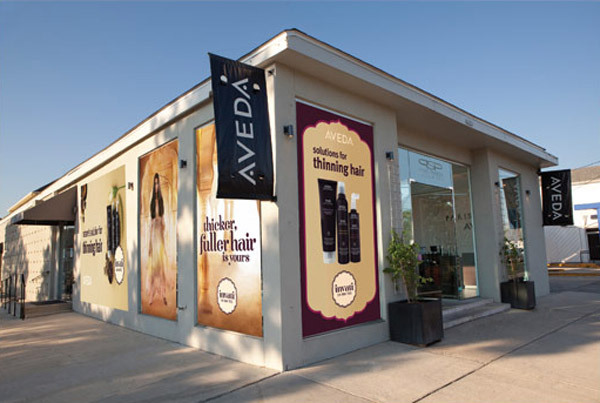 Objective: When Aveda launched their new Invati™ system, a solution for thinning hair, the client was excited about the sales possibilities of this previously untapped market. 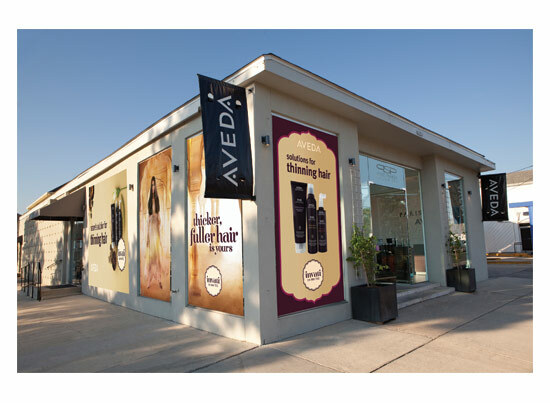 Challenge: Aveda was running a national tv campaign, but we wanted to make more of an impact locally. We wanted people to see the client’s salon and instantly make the connection that they carry that amazing hair loss solution they saw on tv and were meaning to try. Solution: We designed exterior signage for one of their most affluent and visible locations (Paris Parker Prytania). The location has highly visible windows both from the street and busy sidewalk, so that was the area of opportunity. The window art is not only beautiful and causing a stir, but you can also see through it from inside, so there is no feeling of enclosure for guests inside. We used the same images and fonts from Aveda that were used in the commercial, so there is immediate recognition by the consumer. By keeping design elements consistent, we are leveraging the momentum purchased with their national marketing budget. Results: After the signs went up, retail sales increased 50%!